(b) maximizing the number of days the tape stays on. To achieve these goals, proper preparation of both the skin and the tape are key factors. What’s so important about skin? The benefits of kinesiology taping are directly related to the interaction between the tape, the skin and its underlying structures. Unlike traditional athletic tape which is thick and rigid, kinesiology tape is very thin and elastic. 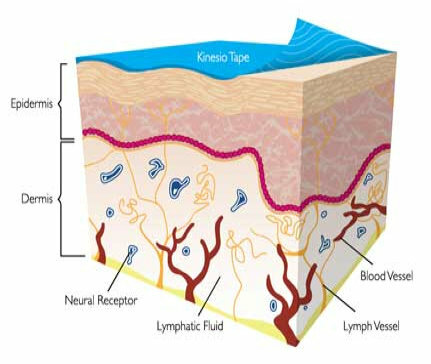 When properly applied, the tape becomes an extension of the skin and is able to influence all of the systems that skin does. This includes the neurosensory system that carries pain signals to the brain, the lymphatic system that drains excess fluid from injured areas, and the interconnected fascia and muscle under the skin. The better the contact between the tape and the skin, the greater influence the tape will be able to provide in these areas. Clean the skin well with rubbing alcohol, hand sanitizer or a pre-taping preparation such as PerformTex’s PerformPrep. Skin should be oil-free and dry prior to applying the tape. Do not apply tape immediately after exercising, swimming or showering – wait until perspiration has stopped and skin remains dry. While small amounts of body hair will not interfere with the action of the tape, areas with significant amounts of hair should be clipped close to the surface of the skin. The general rule of thumb is to clip if hair appears thick enough to interfere with the ability of the tape to adhere closely to the skin. 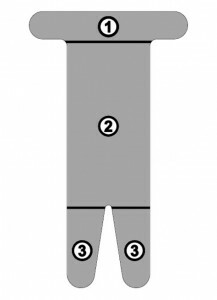 Calculate the number and length of strips required for the application. 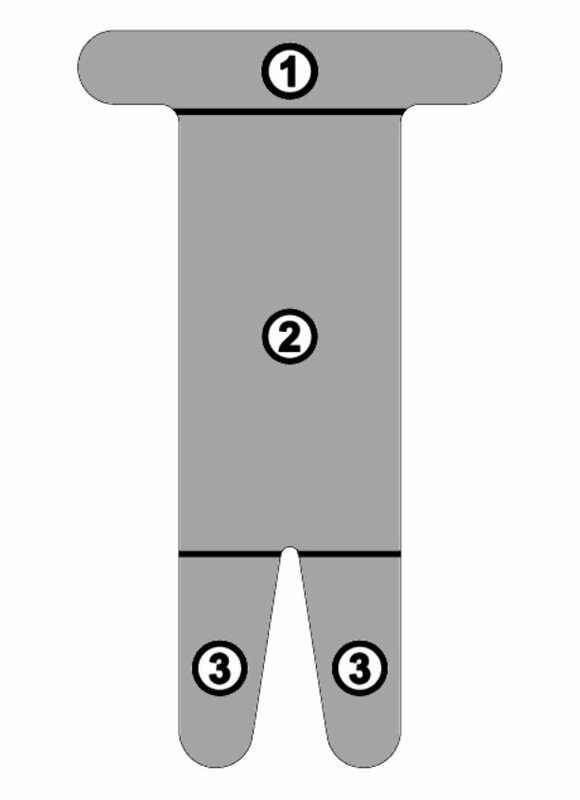 Using sharp scissors, cut the number of strips necessary. Special kinesiology taping scissors are best, as they cause less fraying and do not accumulate adhesive residue on the blades. Round all corners to prevent edges from peeling prematurely. Fold tape a couple of inches from one end and tear the backing paper, creating a short anchor end to apply first. Precut kinesiology tape comes in a variety of strip lengths and types, as well as in precut applications for different parts of the body. In most cases, little or no cutting is necessary. The amount of preparation required varies according to brand and application type. With SpiderTech or Kinesio Tape Precut applications, the backing paper is marked and serrated at certain points, allowing the backing to be removed in small pieces and the tape to be applied one section at a time. Kinesio Fan Cuts are completely precut and only require the backing to be removed from one section at a time. KT Tape Precut Strips do not have serrated backing paper, so the backing must be folded along the cut lines in the tape and then torn by hand.